Let's face it. Student housing is rubbish. Lack of matching furniture and storage space, units with missing shelves and the inability to stick anything to the walls (although we all do it anyway!) makes it hard to think of it as our home for the next 9 months. 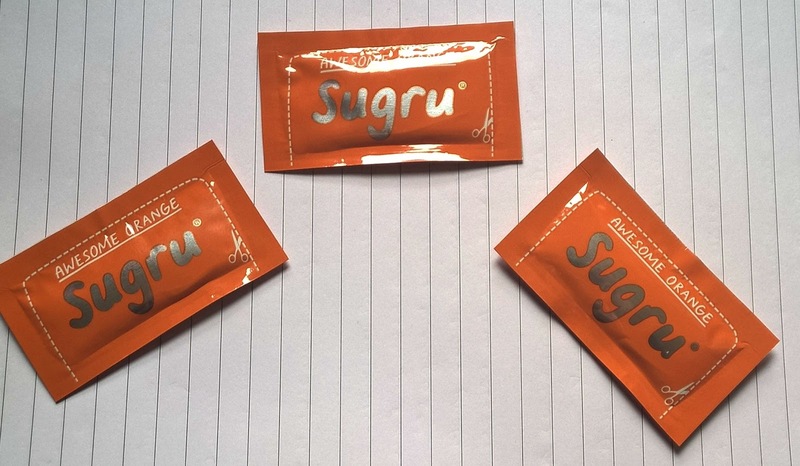 When the people at Sugru got in touch with me about hacking your student room, I was intrigued. 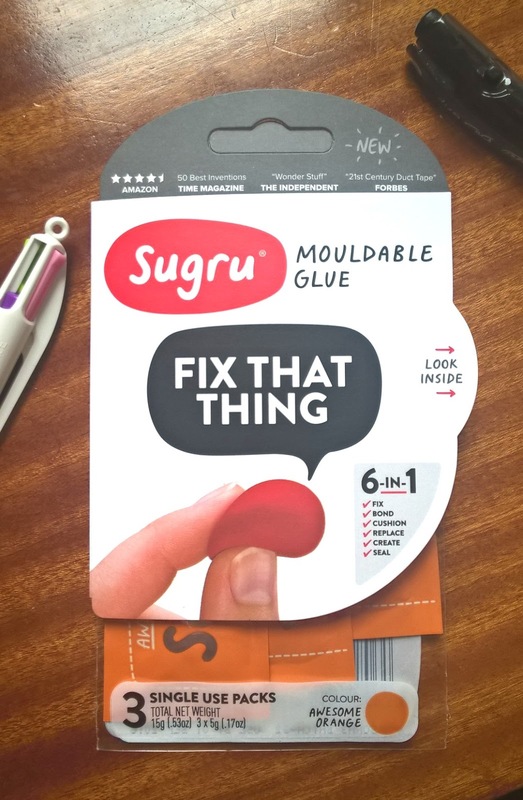 I had heard about Sugru before, it's mouldable glue that you can make into anything. It's not only used to fix things, but make things, so of course, I put it to the test. Whilst I am not as creative as some people as I scoured through Pinterest for some ideas, I first started with making some hooks. I have a shelf next to my desk, and thought it would be nice to make some hooks for my keys, or necklaces so my desk isn't cluttered. You have 30 minutes to mould the Sugru into something before it starts to set. 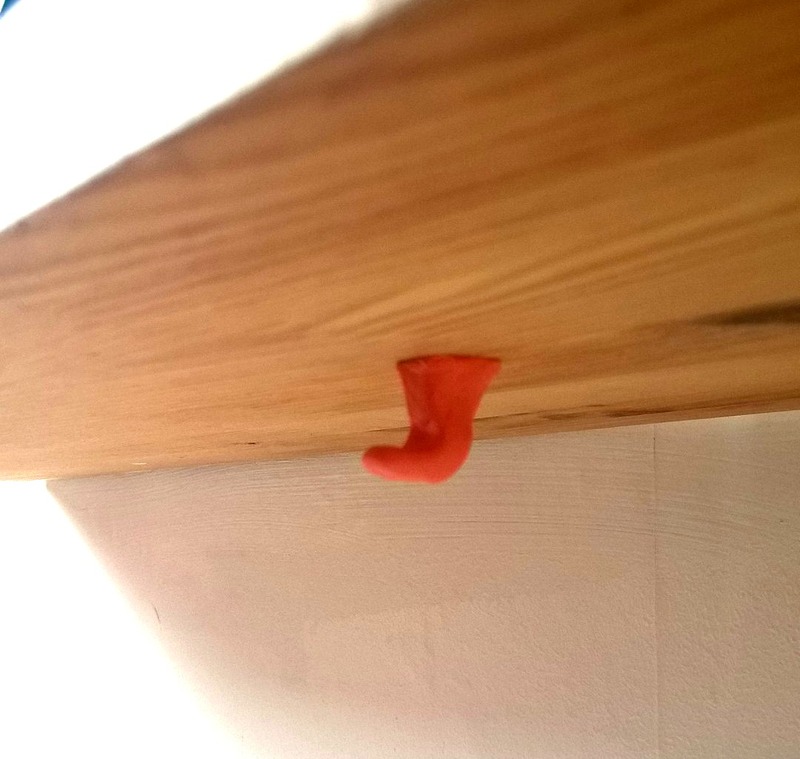 You then leave for 24 hours and the next day, it would have hardened into rubber. Pretty cool right? It took me a while to get it into the shape that I wanted, and then attach it to the bottom of my shelf. So they don't look perfect, but it was my first try okay! Somewhat sceptical, I left them overnight. And this morning, I have hard, rubbery hooks that hold my keys and necklaces - and they're still there a week later! I then went on to fix our bathroom towel rail which was coming away from the wall! Sugru is definitely one to check out. If you're into hacking your life, or just want to fix those hard to fix things, it is one to try. Plus, they have loads of student tips and hacks for you to get started (check it out HERE! 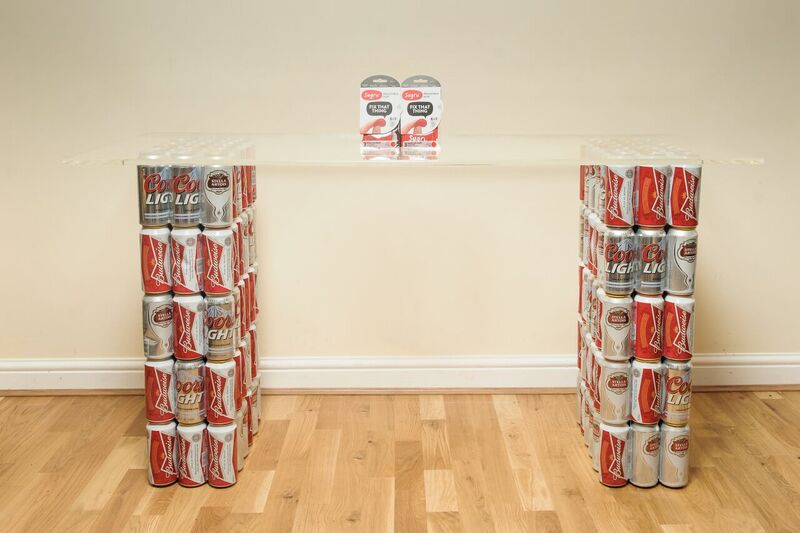 ), including an example of a beer can table? So I'm definitely not that creative (and I don't drink that much beer! ), but, I think it's pretty cool! 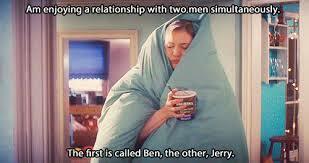 What Bridget Jones taught me about life. Amongst all the news and pictures of the filming of the new Bridget Jones film (I'm literally googling and checking everyday, I can't get enough, I'm like a woman obsessed), I find myself going back to the film and even the soundtrack a lot. Actually, they are the only DVDs I bought with me to uni this year. So here's a few things that Bridget Jones taught me about life. 1. You'll definitely make mistakes, and that's okay. 2. Nobody is perfect and you shouldn't try to be either. It's better to accept your flaws than pretend they don't exist. 4. Had a bad day? Did someone say icecream for dinner? Come on ladies, embrace your inner Bridget!! 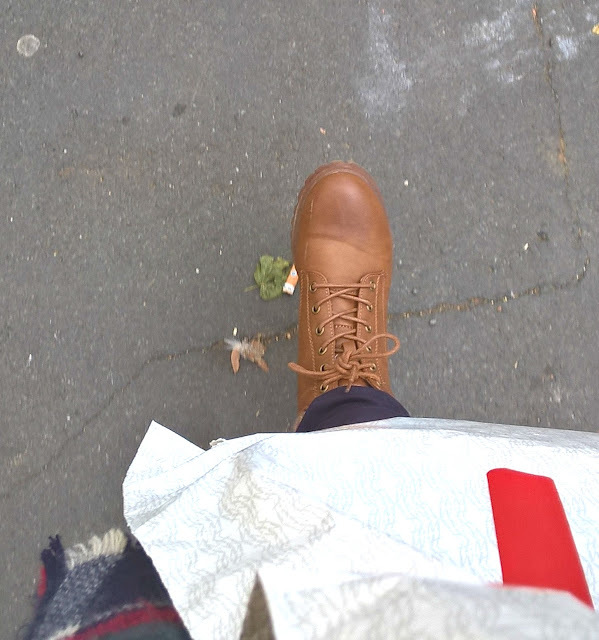 Here, have a picture of what I was hoping would look super autumnal, instead, very limited leaves - and what looks like a cigarette - and a dirty pavement. Oops! Well hello there. Long time no see. It feels like forever that I sat down and wrote a proper post. I have been back in my uni town for about 3 weeks, although I only properly started lectures and seminars last week. I can't believe that this time two years ago, I was starting first year, not knowing what the future held, and now the end is really in sight, and it is so scary! The first few weeks have been spent trying to get on my feet. Luckily my house mates are amazing, and I actually live in a proper house rather than a rubbish cold flat. No longer do I have to worry about being kept awake all night by noisy neighbours. And I can actually walk around in my room without bumping into or having to walk over something, which is an absolute delight. So it's still very studenty (you know the feeling), but we have done loads to make it a proper home - which included an amazing ikea trip! I feel like third year has so much added pressure to it. Besides studying for my degree (and the dreaded dissertation! ), applying for graduate schemes and wanting to volunteer and join all the clubs as it is your final year just adds so much pressure to it all, and I'm worried that I'm going to cave. I'm scared. In other news though, like I said on my third year bucket list, I auditioned, and got into a choir. Not any choir... but an a cappella choir. My Pitch Perfect dreams can now finally come true. Don't laugh, I know it's cheesy as hell, but man am I excited! Also, isn't the weather getting dreamy. I love the smell of Autumn/Winter. Please don't tell me that I am the only one who LOVES winter. The cold doesn't bother me anyway. Things may be a little quiet around these parts for a little while - no longer do I have time to sit all day on twitter! But please bear with me.. and don't forget about me! Here's to a great first term of university. And here's to hoping that my house will be warm enough that I don't see my own breath whilst sitting in bed.